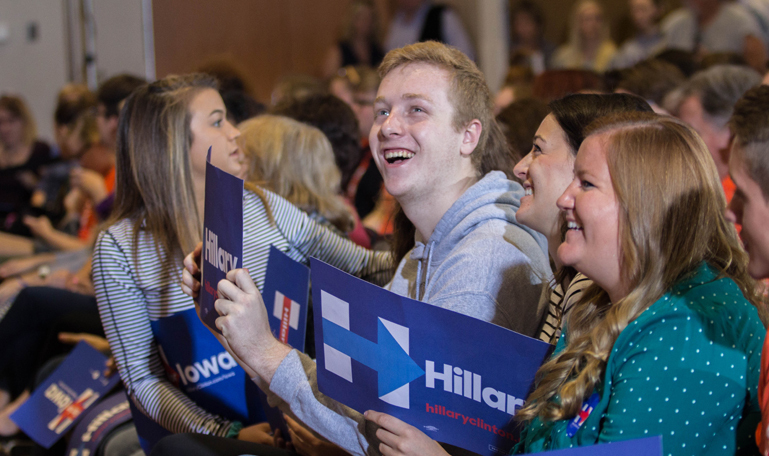 Audience members at a Hillary Clinton campaign rally at the University of Northern Iowa in Cedar Falls on Sept. 14, 2015. Iowans boast that candidates have to come to Iowa, home of the first in the nation caucus, if they hope to sit in the Oval Office. But what role does Iowa play in the race to raise campaign funds? We’ve broken down campaign finance data reported during the last cycle, covering January through June. New data comes out next week, on October 15. Try your hand at our news quiz, or take a peak at an IowaWatch story, “Iowa Campaigns Focus On Voters Over Pocketbooks” by Michael Anderson. How much money are Iowans giving to the presidential campaigns? Although Iowa’s past is filled with women who have impacted the course of our history, we’ve selected a few to highlight. Try your hand at our news quiz.